Is meal planning something you wish you didn’t have to spend time worrying about? That inflexible, time-consuming meal planning, as you currently know it, could become a thing of your past? I’ve recently become obsessed with Frances Mayes and her wonderful books on living in Tuscany. So I’ve been re-reading, (or rather listening to) ‘Everyday in Tuscany’ on my morning walk. I love looking over Mayes’ shoulder as she shares what daily life is like in rural Italy. The other day, she was talking about buying her house in Tuscany. She moved her favourite Italian cook books such as Marcella Harzan from San Francisco to Italy. And then she said something that surprised me. Over her 20 years of living in Italy, she realized that none of her Italian friends use cookbooks. Apart from the occasional fancy dessert recipe for a special occasion, they pretty much always just cook from the heart. They go to the market or the ‘fruita et vedura‘ and buy what looks good. They have their pantries well stocked so they are able to get wonderful meals on the table without planning it all out in advance. Sounds like a much better way to live, doesn’t it? Today I’m going to share with you my 3-Step Framework for ‘reversing’ the meal planning process. One thing I really want to stress is that this isn’t just another meal planning ‘tool’ or some software to make traditional meal planning a little bit easier. It’s a completely different, I like to think ‘revolutionary’ approach to getting healthy meals on the table. I also want to make it clear that it’s definitely not a ‘done-for-you’ solution. To be honest, if you would prefer to ‘outsource’ meal planning and have someone else just tell you what to cook each week and give you a shopping list to follow, this probably isn’t the right approach for you. However if a ‘done-for-you’ system is something that interests you, or if ‘not having to think’ sounds more your style, I recommend having a look at ‘Soupstones Meal Plans‘, which is a separate weekly meal planning service I offer. If, however, you ARE someone who hates to be told what to do OR you’re interested in learning to cook without recipes, then you’re in the right place. Now if you’re thinking ‘this all sounds very nice’ but I’m not sure it will work for me, I have good news! And the good news is, it’s not as difficult as you’d think. I’ve helped hundreds of people learn to ‘reverse’ their meal plan and discover a more liberating, satisfying easy way to get food on the table. And the beauty is, you can learn to plan and cook that way too! 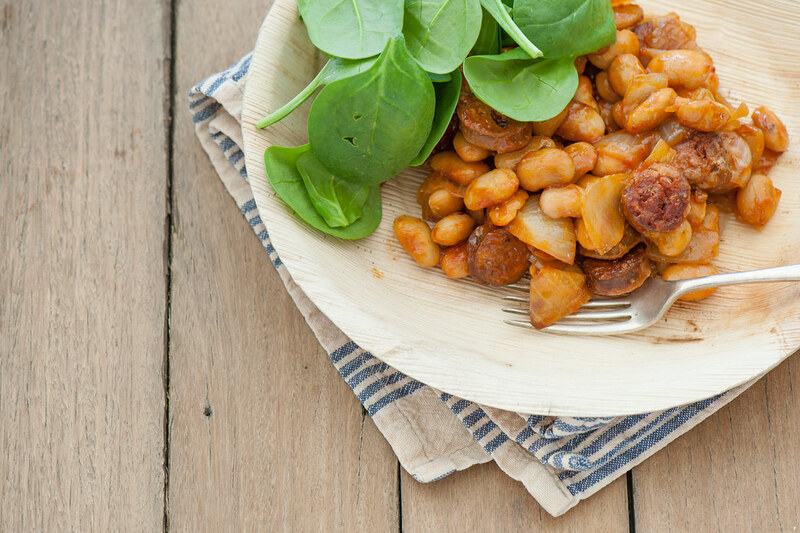 3 Steps to Simplify Your Meal Planning. STEP 1. Stop planning in advance. Stop wasting your time and energy by ‘reversing’ the meal planning process. Instead of deciding what to cook first and then buying ingredients, we need to get you shopping first and THEN deciding what to cook. If this seems a bit to scary, you can take baby steps. Instead of planning every single meal, or whatever you’re doing, leave a few nights free and see what happens. STEP 2. Learn to shop for what you need. You probably already have an idea of what you need each week for breakfasts and don’t plan them out in detail. So it’s time to extend this to dinners and lunches as well. 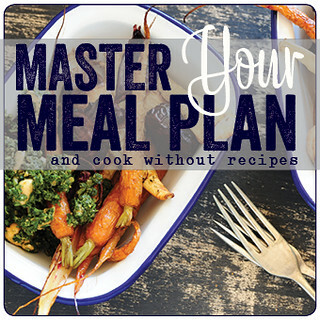 As part of the Master Your Meal Plan online program, I’ll show you my ’2-Minute Planning Formula’ which will help you calculate exactly how much food to buy. You won’t be following a strict list, you’ll be free to choose the seasonal produce that looks the most appealing on the day. And of course, it will allow you to make the most of any ‘special’ discounts on the spot. Imagine yourself being able to enjoy your trip to the market, just like an Italian house wife. STEP 3. Stop cooking from recipes. One of the keys to getting this ‘system’ to work is to break-free from traditional recipes. Now before you start thinking ‘there’s NO WAY I could cook without a recipe’, you don’t have to turn into a master chef overnight. It’s not as crazy as it sounds. The way I taught myself to ‘cook without recipes’ was to start thinking of recipes in general terms instead of specific ingredients. I started by coming up with ‘template’ or blueprint recipes I could adapt depending on the ingredients I had or what I felt like cooking. It’s like taking the ‘Variations’ I include with all of my recipes to the next level. When I want to make a quick stir fry, for example, instead of coming up with a recipe from scratch, I think back to my ‘template’ and go from there. Next week, we’ll go much deeper into exactly how you can stop cooking from recipes, so don’t worry if it seems like something you’d never be able to master. Before I go, I want to live in a world where eating healthy, home made food is the norm. Just like in Tuscany. Where most people just buy ingredients and cook them, without being chained to inflexible recipes. Where cooking dinner is seen as a joy and a privilege, a chance to relax and unwind not another chore to face when you’re tired at the end of a stressful day. If you share this vision, I’d love you to join me for Master Your Meal Plan. ps. If you want to simplify and make your planning and cooking easier, healthier and tastier, then I’d love to become your cooking coach! Wow! Great post! Love these meal plan. Your ideas are great and after reading this post I followed your ideas and being benefited. Thanks! Glad you found it helpful Teresita!